HP continues to be one of the most popular PC brand in India. 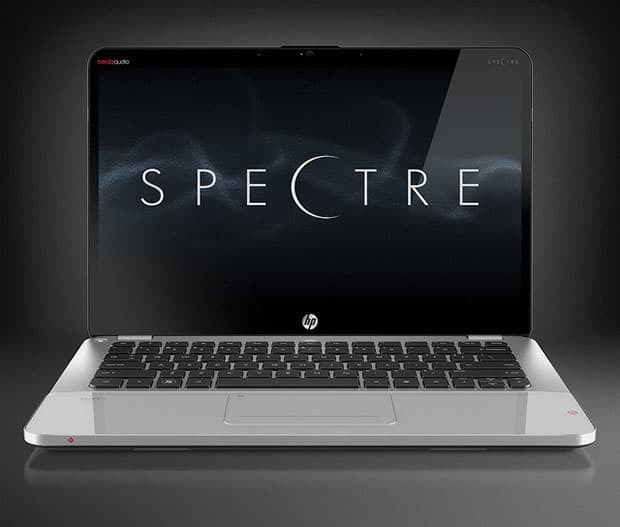 The company today launched the HP Envy 14 Spectre Ultrabook for a price of Rs. 1 lakh. The laptop offers stylish looks and a very think bezel. The ultrabook ships with Intel Core i5 / i7 ULV Processors with up to 256GB SSD, Beats Audio technology and 14-inch display. The customers will also get a choice of all three editions of the Windows 7 operating system. The unit measures 12.88"Wx8.7"Dx0.79"H and the screen is scratch proof. HP claims that on regular usage the ultrabook will last for about 9.5 hours (that battery life is comparable to Apple's Macbook Air). HP also offers lot of software goodies with this laptop including Full-versions of Adobe Photoshop Elements and Premiere Elements software, free 2 years of Norton Internet Security 2012. How many of our CEans are planning to buy this machine? Do you think the price is justified? Also, is 'beats audio' that good? Yep, that's it. A macbook killer. But you know what? I detest 'ultrabooks'. Way too expensive, and out-of-vogue in about a year. Me, I have a strong back, so I'll buy something a little thicker and more reliable. I don't think it copies MBP. Apple's design philosophy may inspire others; but they simply can't afford to copy it. Apple's totally notorious for suing other companies so other manufacturers better stick to their own designs. Yes SSDs in laptops were popularized by the MacBooks. I really wonder whether people really want 'thin' gadgets. Apple also knows that they can control the markets. The move to exclude the optical drive was big one and it surprised many! Apple knows that other manufacturer will eventually follow the trend set by them. One look at the keyboard makes me feel the same. Anyway, in US it is available for $1400. Way too cheap than One Lakh Rupees.